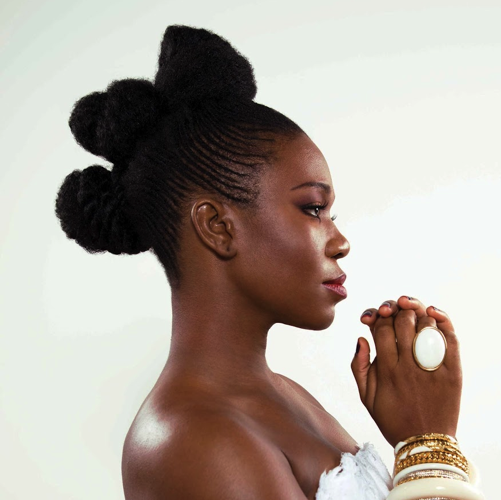 According to Afrostyle songstress-India Arie, the Grammy Awards purposely exclude young black people and gives no shine to their craft. Though it’s called “Music industries biggest night” the #Grammys are NOT about the music, it’s a popularity contest. The voting process allows people, to vote on name recognition alone – the music industry politics is a whole NUTHER conversation. Too much to go into here. The American Music Awards is a show that awards sales and popularity – the #Grammys are SAID to be about the music. If the hip hop community voted on hip hop – r&b COMMUNITY the same – same for each category – we’d see winners that reflect the MUSIC ITSELF. We all know that’s just not the way it goes. NOW the BIGGER losers, are ALL of black music. Where was the black music community represented in last nights #Grammy show? Performers and Winners (or not) … Where were the black artists? And this isn’t the first time the #Grammy’s has had a show all but excluding young black America and black artists in general, although we set the worlds musical trends. Why NOT televise the lifetime achievement awards of the Isley Brothers? SURELY they deserved to be on televised stage LAST NIGHT! While other artists were on stage TWICE? The truth is in a perfect world diversity would matter, and respect would be rampant, but the TRUTH is, The #Grammys is a television show, and in THAT world ratings reign supreme. So, in general, bigger names take the stage, and sadly the biggest names often times ARE BIGGER drawn along racial lines from the release of an album. i.e. marketing dollars, and just general support. It’s unfortunate. I don’t even get surprised any more, but, it still hits my sense of fairness, because I KNOW many of the artists who are overlooked. I LIVE in that world. We keep showing up and subjecting ourselves to the game, hoping MAYBE we’ll win. I was so HAPPY to see @Kendricklamar take that stage – because it is a FORM of winning, at LEAST, he was SEEN. P.S. No mention of Nelson Mandela at ALL? … and THIS is why we NEED the Image Awards AND the BET awards.Do you agree with India on this? This entry was posted in Entertainment and tagged Indi Arie, Purposely exclude, young black people.